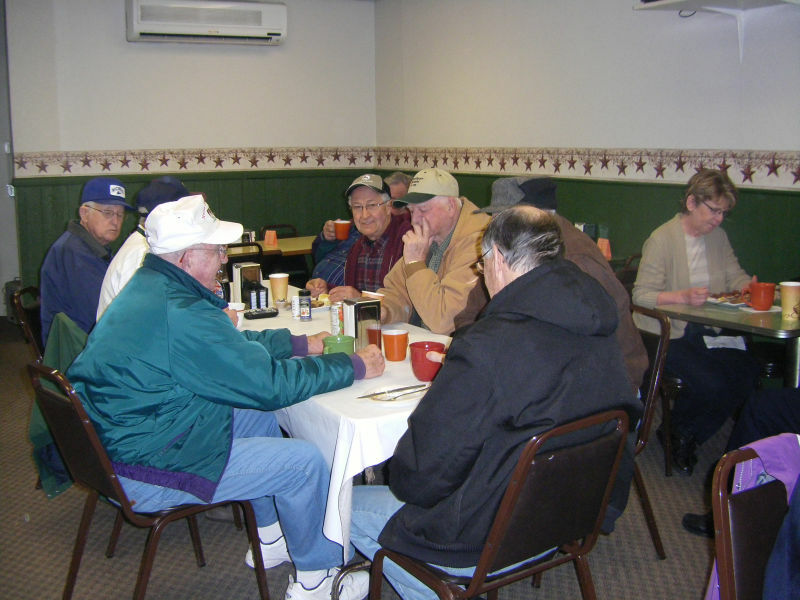 Just because it was cold out last evening that didn’t stop the senior citizens from coming out for the monthly social at the Senior Center. It started out with members showing their treasures & telling why they were important to them. 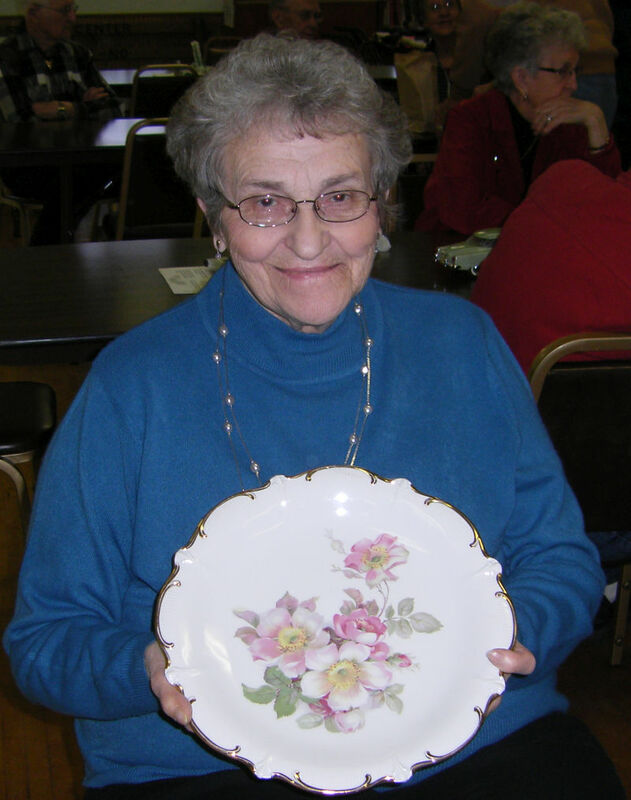 Pictured is Lois Rott with a wedding gift that Harold & Lois received in 1961 from the County superintendent Nettie Thorsen. Lois also had cards from Nettie that she sent every anniversary for the next 30 years till her death. 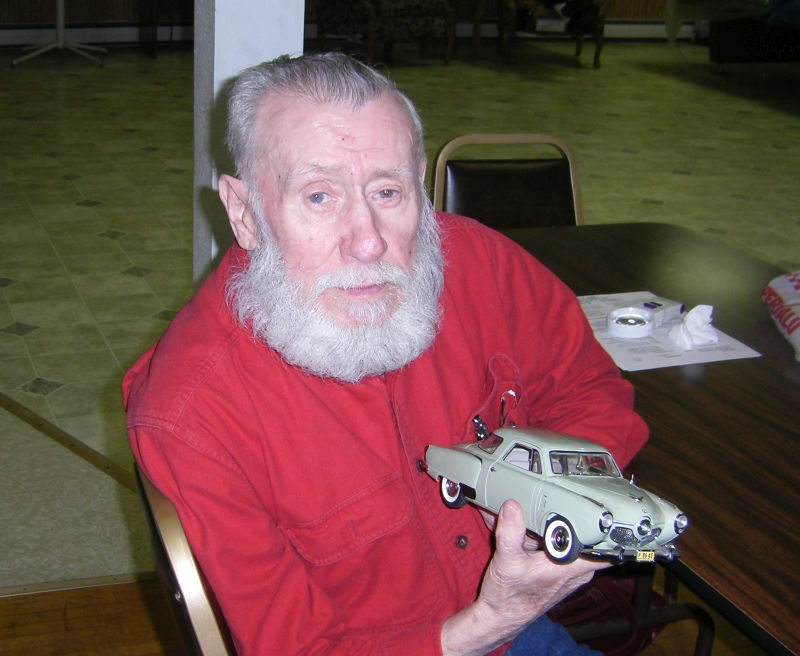 Emanuel Kessler loves Studebaker cars & showed his 1951 Studebaker Land Cruiser that was the biggest car made at that time. The evening continued with lunch, cards & dominos. The last 2 pictures were taken at the café this morning. 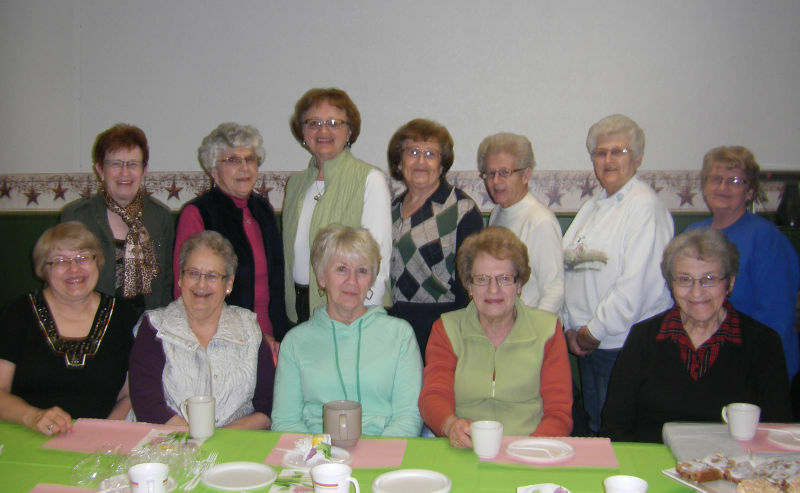 This group of women meet monthly to celebrate birthdays of the month. We were celebrating Tillie Reinowski’s birthday. Connie Rudnick decorates the table with fancy napkins & tablecloth. Pictured are: (back) Alyce Heer, Janice Buchholz, Shirley Nitz, Dorothy Peerboom, Fern Reinowski, LaDonna Goodwin, Barb Martin. (front) Mardi Helm, Lyla Dockter, Barb Zuther, Tillie Reinowski, & Lois Rott. (Norma Martin is missing). I couldn’t leave out a picture of the men that usually get together at 8am.